Liverpool, Fabinho, sign ‘kululu’ contract? Liverpool appeared to let an industry secret slip on Monday evening when Fabinho’s ‘Player Contract Agreement’ was revealed to be nothing more than an old story taken from their own website. Every major football club sits their new signings down behind a fresh contract with a pen in their hand. Photographers at the ready, the player signs the paper to make it seem like they are capturing the the moment the deal was completed. That isn’t how it works; not at Liverpool, at least. 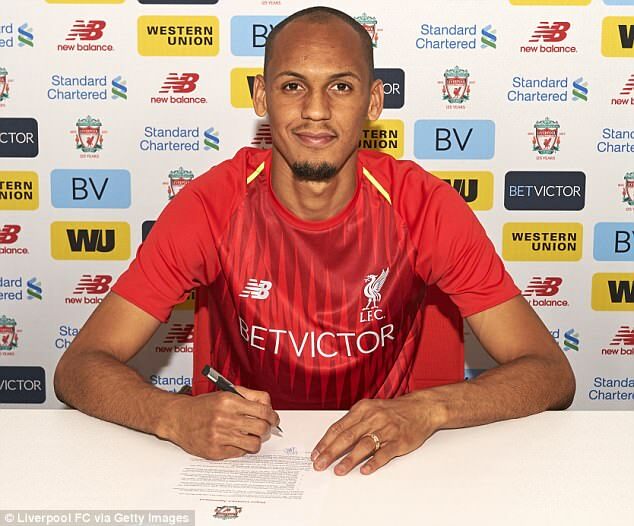 In actual fact, the contract Fabinho was signing was made of the words from a story that was published on Liverpool’s website on Friday afternoon. The story was Jurgen Klopp’s final press conference ahead of Saturday’s Champions League final. 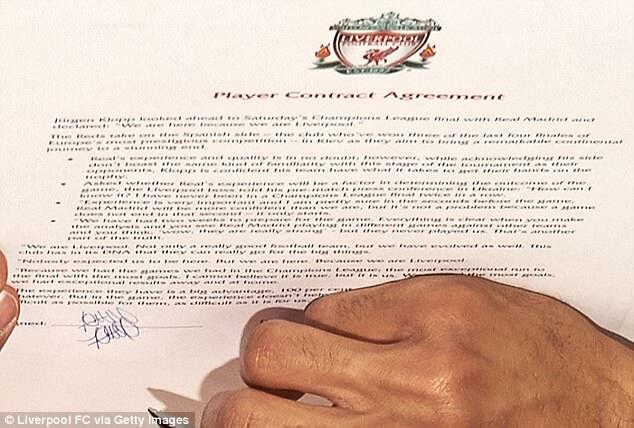 Whoever created the fake contract did put in some effort to make it look like the genuine article, including the club crest at the top and the words ‘Player Contract Agreement’ below it. They also inserted bullet points and added a dotted line to sign. There is, of course, no surprise to see that Fabinho’s contract is not signed in a room full of photographers, and isn’t one page long. In reality, the contract was probably ratified days ago and is much, much longer than a few hundred words. 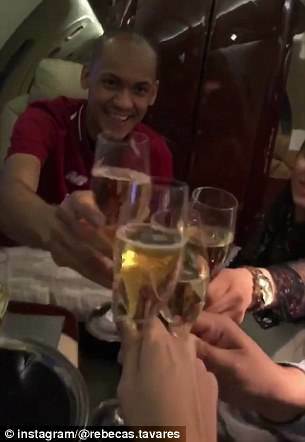 Regardless, the deal between Liverpool, Monaco and Fabinho is complete. The Reds have agreed to pay £44million to bring him to Anfield, where he will act as a replacement for Emre Can, who is expected to join Juventus when his deal expires. 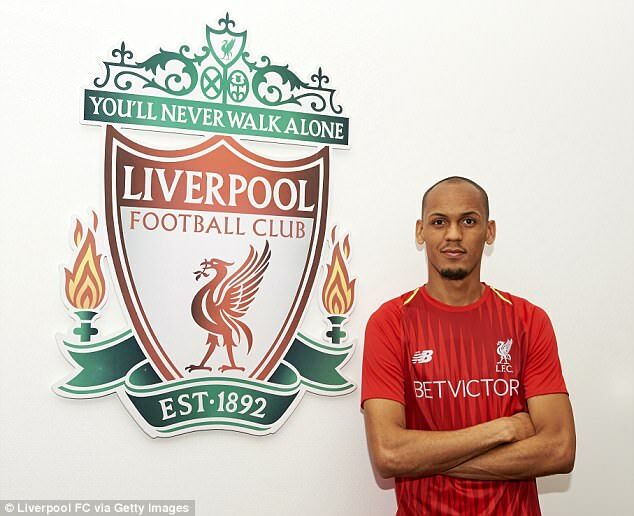 Fabinho’s arrival is a statement of intent from Klopp, who wants to further strengthen the squad following the success of reaching the Champions League final, where they lost to Real Madrid. His move will be officially confirmed on July 1 but effectively completed the move on Monday when he arrived at Melwood alongside his agent Jorge Mendes, committing his future to the club until June 2023. 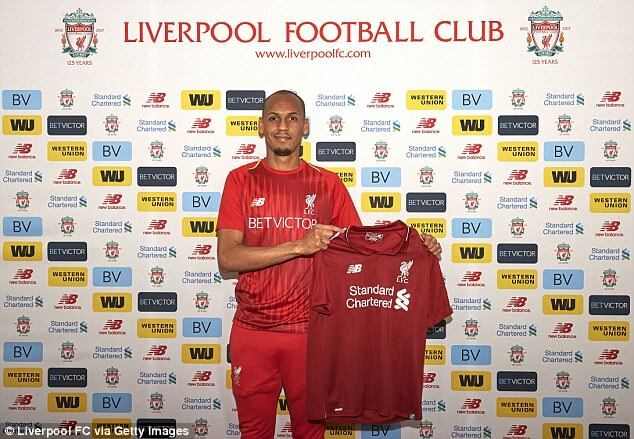 ‘I am really excited about this move,’ Fabinho said. ‘This is something that I always wanted – this is a giant of a team. ‘The infrastructures of the club look exceptional. A football club of this size coming after my services? I didn’t have to think that much about coming over. The Reds take on the Spanish side – the club who’ve won three of the last four finales of Europe’s most prestigious competition – in Kiev as they aim to bring a remarkable continental journey to a stunning end. Real’s experience and quality is in no doubt; however, while acknowledging his side don’t boast the same kind of familiarity with this stage of the tournament as their opponents, Klopp is confident his team have what it takes to get their hands on the trophy. Asked whether Real’s experience will be a factor in determining the outcome of the game, the Liverpool boss told his pre-match press conference in Ukraine: ‘How can I know it? I have never been in a Champions League final twice in a row. ‘Experience is very important and I am pretty sure in the seconds before the game, Real Madrid will be more confident than we are, but it’s not a problem because a game does not end in that second – it only starts. ‘We have had two weeks to prepare for the game. Everything is clear when you make the analysis and you see Real Madrid playing in different games against other teams and you think, “wow, they are really strong” – but they never played us. That’s another part of the truth. ‘We are Liverpool. Not only a really good football team, but we have evolved as well. This club has in its DNA that they can really go for the big things. ‘Nobody expected us to be here. But we are here. Because we are Liverpool. ‘Because we had the games we had in the Champions League; the most exceptional run to the final with the most goals. I cannot believe it is true, but it is us. We scored the most goals, we had exceptional results away and at home. ‘The experience they have is a big advantage, 100 per cent, to feel more confident or whatever. But in the game, the experience doesn’t help all the time. We have to make it as difficult as possible for them, as difficult as it is for us. That’s the plan.